I was at a business lunch the other day and a comment was made about how 10 years ago there would have been no women in the room. This got me thinking… gender diversity is important…but why? We all know that men and women have different viewpoints and ideas, but I wanted to know what the numbers looked like. 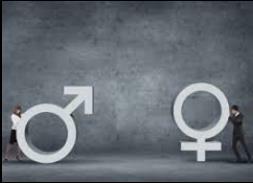 It is one thing to say gender diversity is important as a laudable goal…but does it make business sense? According to a recent Gallup study, gender-diverse business units have better financial outcomes than those dominated by one gender. Women now outnumber men by nearly 9,000,000 in the American workforce. We now represent 52% of all workers over the age of 20. So if a company is reluctant to hire women, it is missing out on over half the talent pool. Another study done by Hanshin University, Harvard Business School and MIT, focused on whether companies could increase profits by recruiting otherwise excluded women. They concluded that a 10% increase in the percentage of female managers led to a 1% increase in return on assets. In other words, businesses will likely financially benefit from hiring more women into leadership roles if they are currently underrepresented. Bottom line is gender diversity is not just important on the surface…it brings meaningful results. Keep us in mind for your staffing needs...we are female owned!